Discover what it means to have Jesus at the centre of your passion. Deeply powerful in its message and heart. [Get] fresh passion for the purposes of the Lord in your life. Apathy is killing the Church. Many who claim to know Jesus live unchanged lives and divide their affections among worthless idols. Passion Cry reveals a holy God who is unashamedly jealous for the love of His people, and He will not let this dispassion toward Him remain. Those who are tired of performance-based religion, who hunger for purpose and a super-natural zeal for God and His glory, who desire to store up eternal treasures by decreasing self and increasing Christ, will be radically impacted by Passion Cry. The Church has suffered too long from the pressure to conform to a dull, disinterested, lukewarm, and detached approach to Christ. The tide must turn. In the face of societal pressure, cultural and moral revolution, and an anti-Christ flavour that increases every day, Pastor Robbie Symons calls the people of God to rise up and take their stand. As the persecution upon Christ-followers goes from the subtle to unmistakable, the current generation of believers is about to find out where their passions truly lie. Maybe you haven't thought of it very much, but your life is driven and shaped by passion for something. Grab a copy of "Passion Cry" and discover what it means to have Jesus at the center of what captures your passion. Do you know what I like about this book? It is easy to read but deeply powerful in its message and heart. I believe that Robbie has laid his finger on the most distressing aspect of the Christian life: we worship, serve, give, and otherwise follow Christ, but we do so without passion, and for this reason we have so many competing interests that our commitment to Christ is diluted. We have the form without the power, the words but not the burden, the doctrine but not the reality. I want to reread this book when it is published and I will recommend it to my congregation as well. 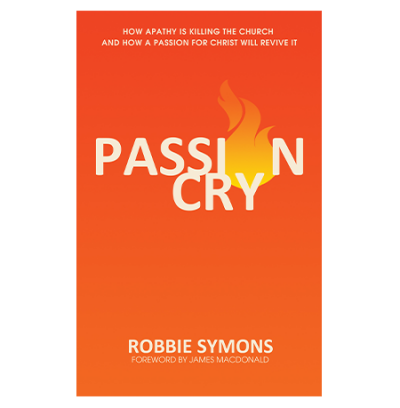 In his helpful book, Passion Cry, Pastor Robbie Symons leads us to understand that heat must accompany light—that truth without spirit, head without heart, leads inevitably to a “shoulders up” faith where followers become fearful fact-checkers and lose the fervency that makes following Christ truly fulfilling. Robbie Symons has been used of God to plant and build one of the greatest churches in North America, a fellowship that combines precept and passion in a truly compelling way. If you want fresh passion for the purposes of the Lord in your life, you are holding a book on that topic written by a man who lives it and wants to help you get there, too. Read it carefully and apply it faithfully and your life in Christ will soar to new heights. If Christianity is worth anything, it is worth everything. 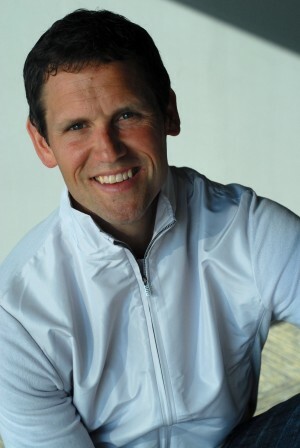 Robbie Symons’ soul has been arrested by the passion of Christ—both as a disciple and a pastor. He communicates this passion better than anyone I know. Passion Cry is an incredibly powerful and practical distillation of biblical zeal that will eradicate apathy and equip you to live a fulfilling and fruitful Christian life. I love this book. It is clear, practical, vital, and urgent. It speaks to such a need in my life and the life of the church to kindle afresh our first love for Jesus. Nothing significant or vital gets done without deep, energizing convictions coming to life. Robbie has lived out this teaching on the passionate pursuit of Jesus as long as I have known him. This is a powerful book because it has a powerful message. Every Christ follower who desires a deeper passion for the Lord should read this book. Robbie masterfully peels back the layers of the heart, exposing dispassion and challenging readers to a fresh and fervent pursuit of their Savior. As you read this book, you will find yourself crying out, “As a deer pants for flowing streams, so pants my soul for you, Oh God” (see Psalm 42:1). Once you pick this book up, you won’t put it down. If you want to ignite a deep passion for Christ, this is the book for you. Robbie is my pastor, friend, and a genuine, passionate man of God. He lives what he preaches and he is truly discontent with spiritual contentment. This book will powerfully reinvigorate your life in Christ. I highly recommend Passion Cry.